I took some liberties with the embellishments – left out the flowers and added rub-ons, buttons and journalling cards. I really wish that I had some of those cool metal frames. I’ll just have to do my best altering the chipboard frames instead. I already have a few projects in mind for this kit, so I’m not sure I’ll be able to wait for Meridy and Bethany’s mini-challenges before digging into my kit. 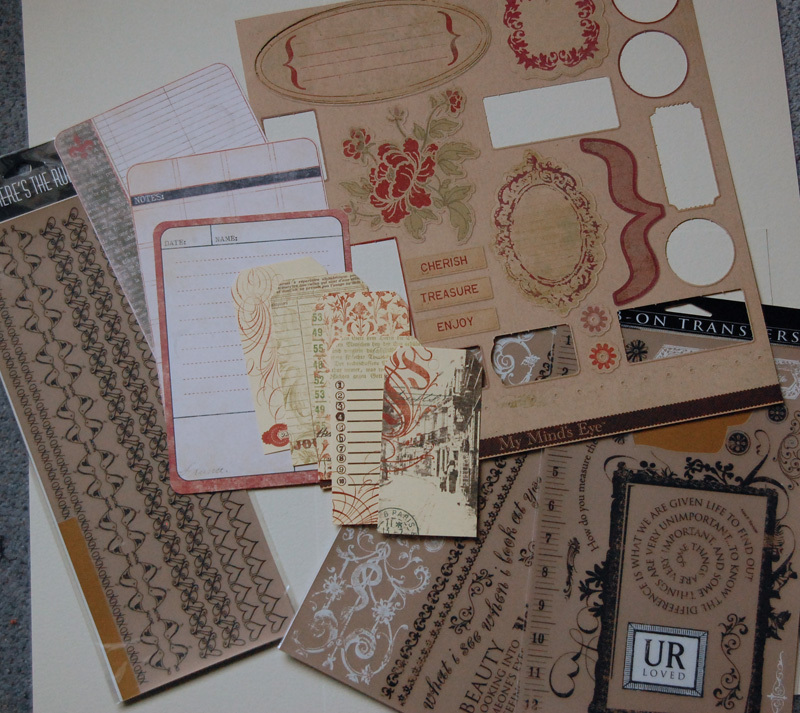 First up: a mini-album/art journal thing about my OLW for 2011 – Do. I had the same issue with STOPPING myself from pulling everything I owned. I have already made three projects was not aware we should wait OOPS! LOL! Lovely kit! It’s a kick to see what everyone is pulling out of their stash. Can’t wait to see your projects. Looks like you have lots of fun stuff to play with! Wonderful!!! Great job creating the kit! 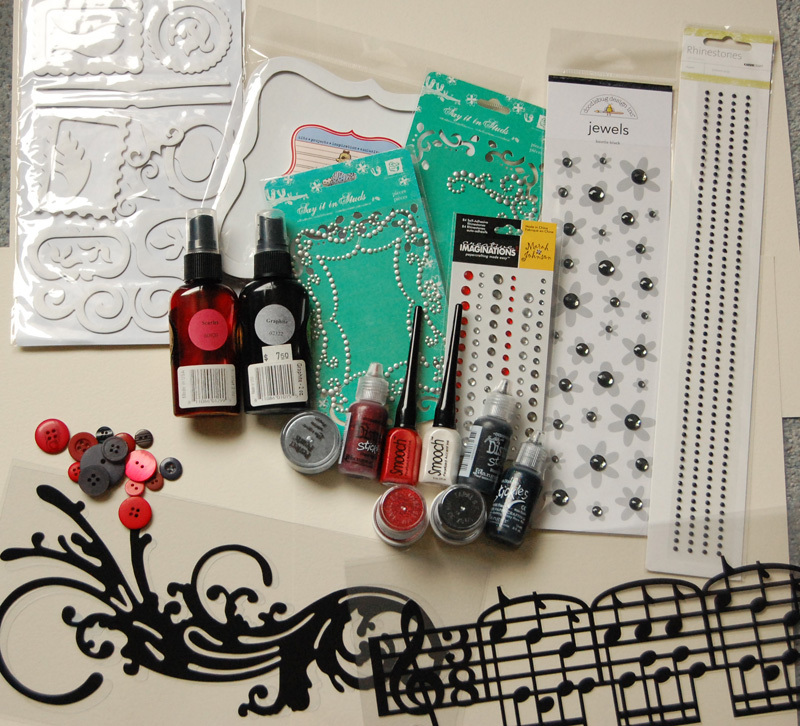 Love your kit – especially your embellishment selection. Looks like lots of good stuff there! 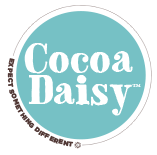 You totally don’t have to wait for us to start creating…we’re just there if you need some inspiration! I love the music note die cut…and check the blog tomorrow (2/7) for those frames!!! Beautiful kit and add-ons-I really want some of that yummy ruffled ribbon! I think I like your kit better than the original kit! I love your fesh take on this kit – your embellishments really “pretty it up”. It’s so hard to stop pulling out more supplies isn’t it? I have a lot of stuff I need to put away now! Gorgeous choices! I love the big scroll and music pieces! I like your “lightened” up approach to the kit. Looking forward to your creations! Love that big circle die cut paper and that great trim! Can’t wait to see what you come up with. wow-am so digging your stash…I didn’t do the add ons yet but truly love your stuff. 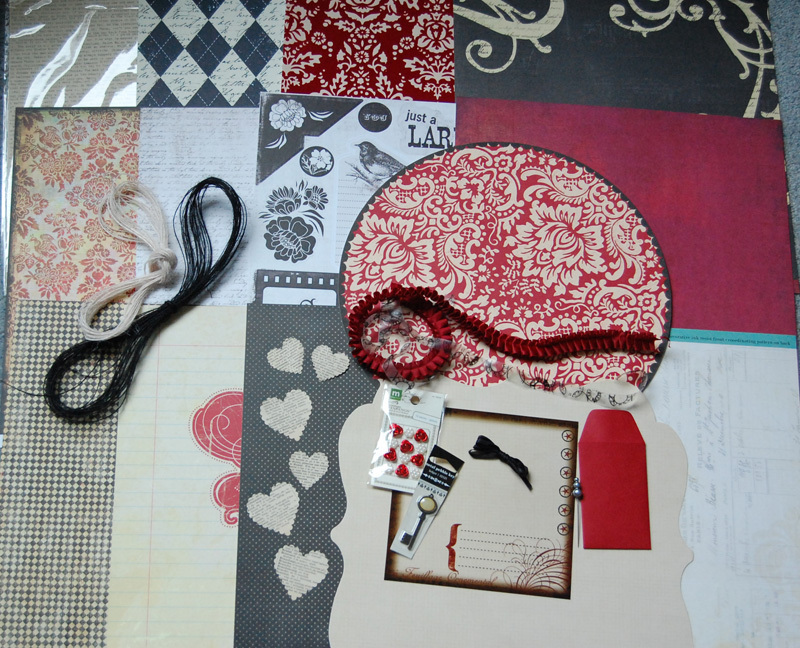 Love the big red circle paper and the rubons you have in your stash.